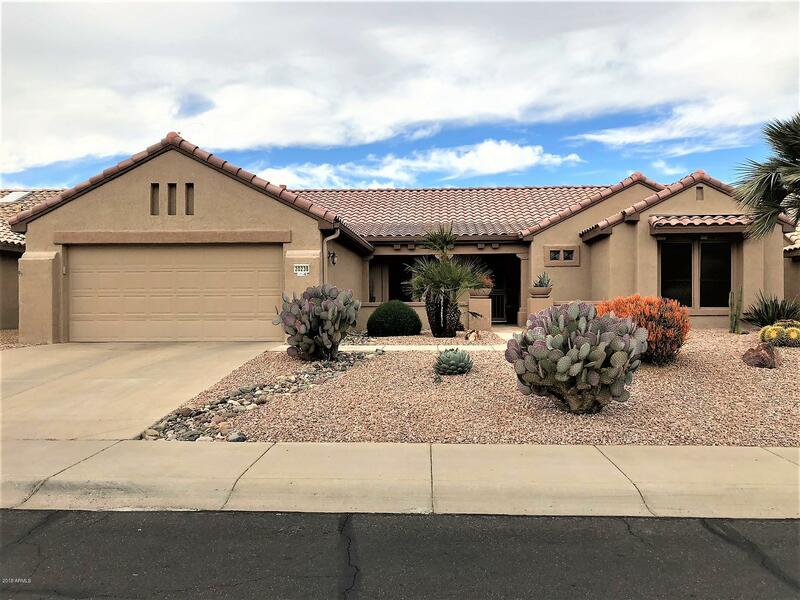 All SUN CITY GRAND-DESERT BLO homes currently listed for sale in Surprise as of 04/23/2019 are shown below. You can change the search criteria at any time by pressing the 'Change Search' button below. 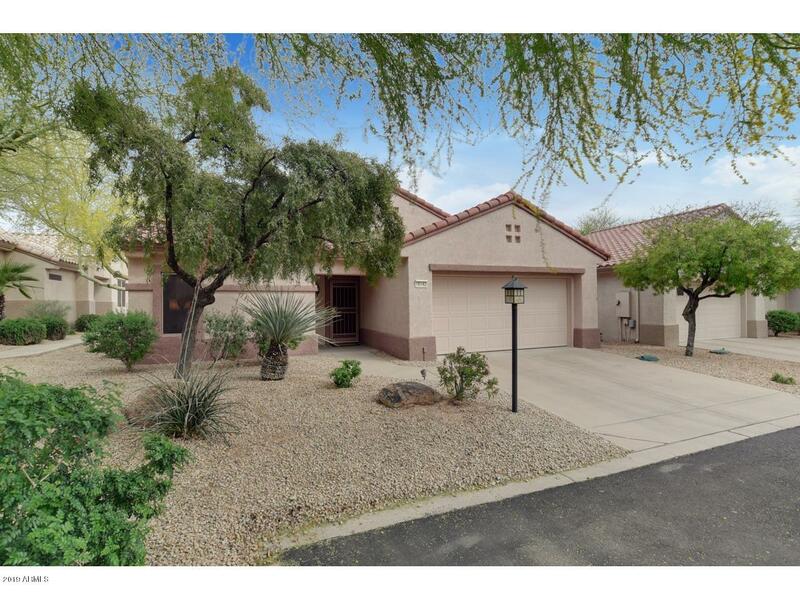 "This popular PALO VERDE is located in a quiet area. Easy access to everything. 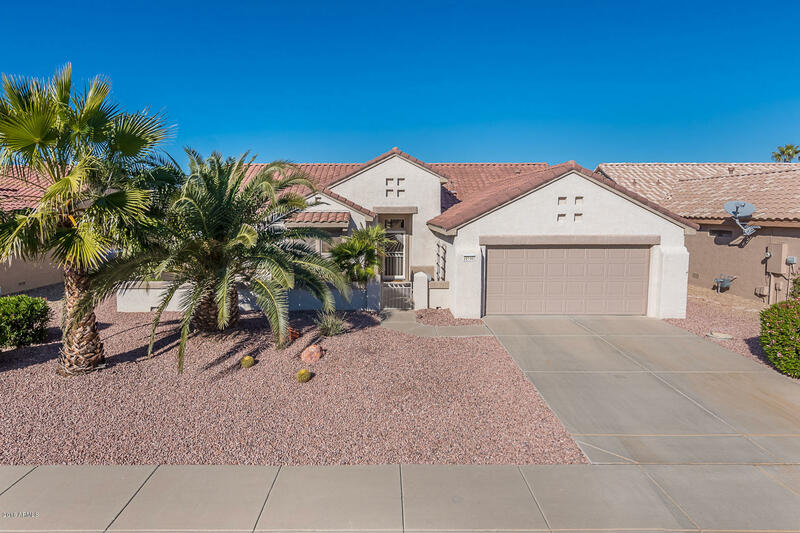 This home has a lovely front courtyard (w/fountain) and a full length patio in the back. Granite counter tops in the kitchen. Newer stainless refrigerator and microwave. Refinished cabinets in the kitchen. Tile and carpet. After market media wall. Access door to front courtyard in kitchen nook. Slider in master. Security system. Soft water loop. Laundry sink. Garage cabinets. Newer AC unit. Newer hot wa"
"This Verbena has been reconfigured to make a haven for the avid hobbiest/crafter/quilter or a guy needing an outstanding mancave. You enter thru a private courtyard w/simulated flagstone on the patio & walkway & end up in a fabulous private backyard for just relaxing at the end of your day or entertaining all of your friends - A gorgeous remodeled Tuscan style kitchen w/granite, you also have 2 bdrms & den plus that great ''extra-reconfigured space'' for whatever you decide. Nothing is old - a"
"Immaculate 1100 sq ft Monterra in the adult community of Sun City Grand. Ideal as seasonal home or investment rental property for snow bird season. Come enjoy the ''Grand'' life style. Recreation Center with billards and card rooms, dog park, golf, tennis, pickleball, fitness center, arts&craft clubs and resort style pool. Home has tile flooring in living area. Split 2 bedroom, 2 bath home. New paint inside in 2018. Cupboards in garage. HOA maintains front yard. Fenced backyard covered patio an"